For a long time now, birthstones and their colors have long been a way to connect your birth month with a unique gemstone. The most beloved and prized gemstone of all, a diamond, is the birthstone of April and you either own one or you want to own one. The month of April features two zodiac signs, Aries and Taurus, and it doesn’t matter which one you are, diamond is still your birthstone. 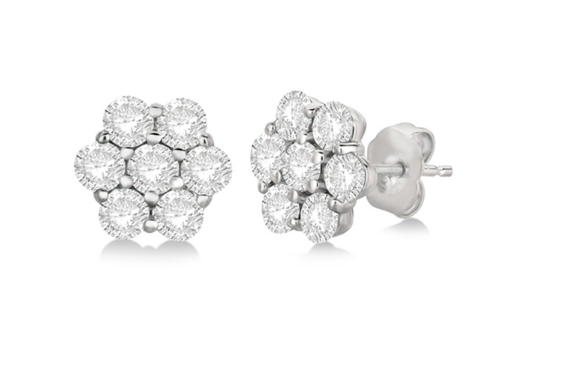 Flower Shaped Diamond Cluster Stud Earrings 14K White Gold by Allurez. Commonly called “a girl’s best friend,” diamonds are the hardest gemstone out there and its made from one element only: pure carbon. It scores the highest, 10, on the Moh’s Ordinal Scale of Hardness and diamonds are in fact 58 times harder than any other mineral on Earth. The name diamond is also derives from the Greek word adamas, meaning invincible and unconquerable. Because of its durable and long lasting quality people joke (but are serious) about the fact that diamond jewelry may be the oldest thing you ever own. 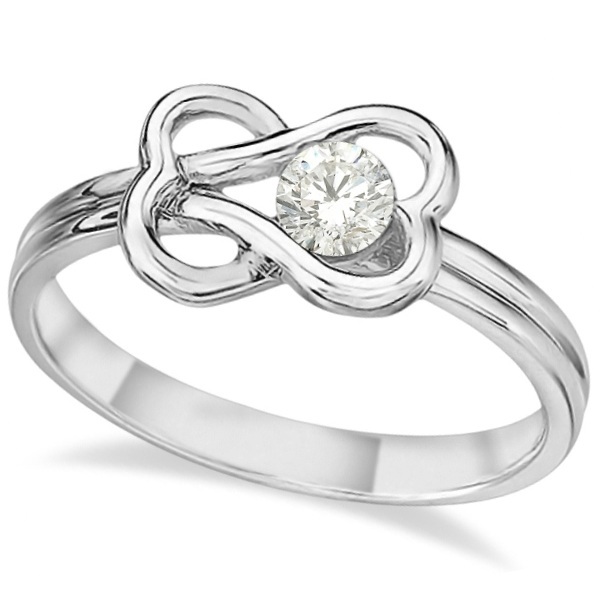 It also symbolizes enduring and eternal love. Diamonds are carbon that undergoes extreme temperatures and pressures below the Earth’s crust. Forbes noted that diamonds are formed by exposing carbon to extremely high pressures (45,000-60,000 times Earth’s atmosphere) and to relatively low temperatures (of “only” 900-1,300°C) simultaneously. It reportedly only occurs under two natural conditions: in the upper portions of Earth’s mantle, requiring carbon to be “sunk” via tectonic plate subduction (and then reintroduced to the surface), or during a meteor strike. Diamonds come in several different colors (including yellow, red, pink, blue, and green) and for the most part the more saturated the color, the higher the value. Rare diamonds sparkle with intense color and are typically more expensive than a colorless diamond of equal size, according to the American Gem Society. But because colored diamonds are very in-demand, pigmentation is sometimes done in a laboratory and those are called color-treated diamonds. 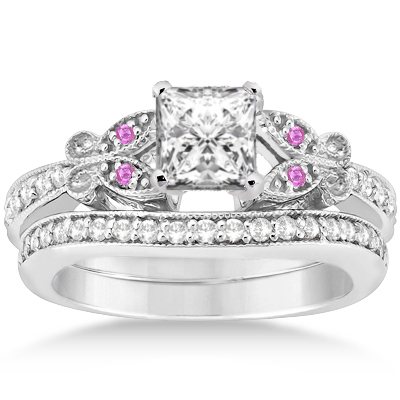 Colored diamond jewelry has become just as popular as colorless diamond pieces. 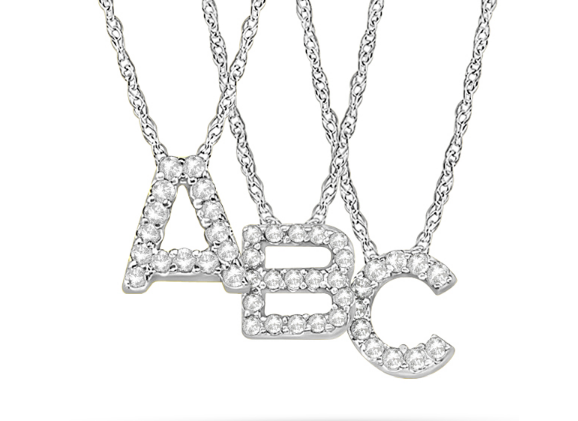 Petite Pave Diamond Initial Pendant Necklace 14k White Gold by Allurez. 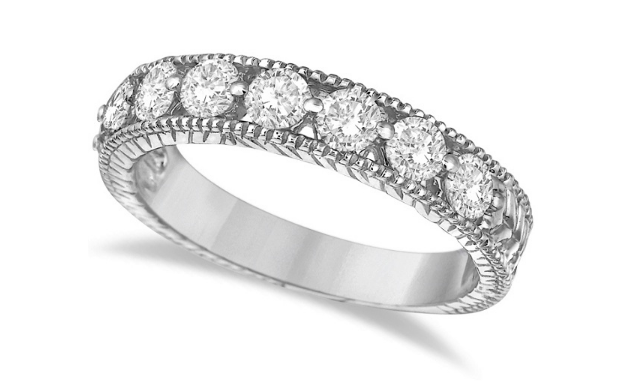 Some historians estimate that diamonds were traded as early as 4 BC, according to the Gem Society. Before it was fully discovered how diamonds were formed, many ancient civilizations believed that the gemstone was formed from lighting made real on earth, while other ancient cultures believed that diamonds are the tears of the gods and splinters from falling stars. Under the same assumption, diamonds have often been associated with having providing great health to its owner, and many thought the diamond could cure brain disease, alleviate pituitary gland disorders and draw toxins from the blood, the Gem Society said. 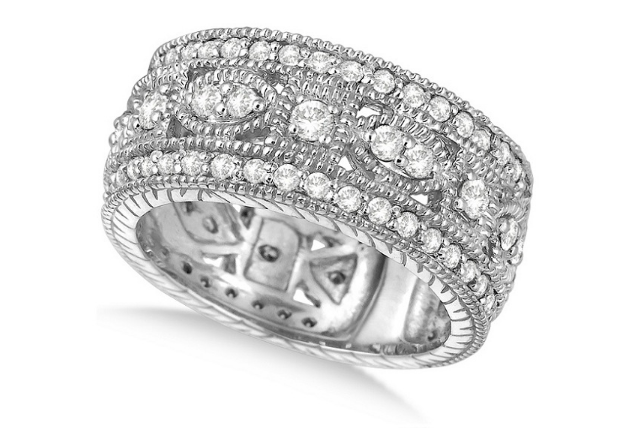 Vintage Style Byzantine Wide Band Diamond Ring 14k White Gold by Allurez. Diamonds are most commonly known as the stone of choice for engagement rings, but its not exclusively for special occasions. 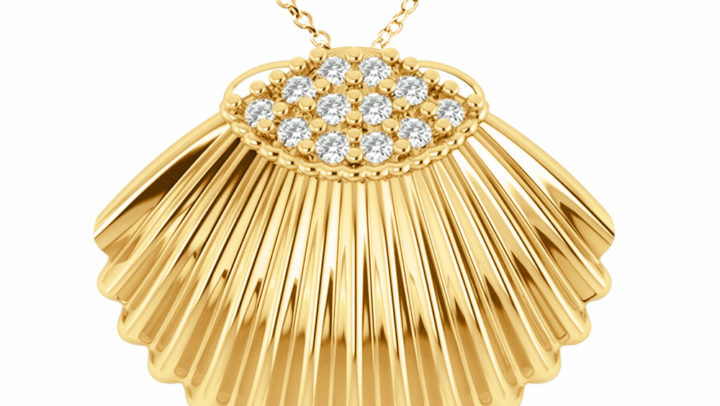 It also has a place in everyday wear, for example with stud diamond earrings or a small diamond pendant. All gemstones are measured by the Four C’s: cut, clarity, color, and carat weight. Diamonds are no different but according to Glamour magazine, jewelry experts say that while you generally want to find a diamond with good clarity and cut (since they contribute to the stone’s sparkle factor), color is less important if a diamond is set in yellow gold because the color of the gold reflects onto the stone. 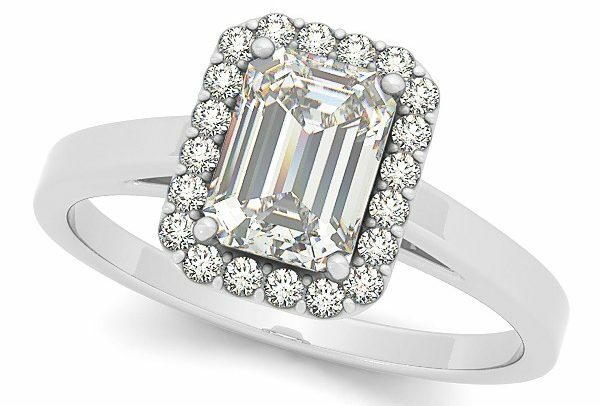 Because of its neutral color, diamond is the easiest birthstone to wear and match with. Also, because it’s an extremely hard stone, you don’t have to worry as much about what type of jewelry style or setting it’s in. For those looking for affordable diamond options, experts suggest black and grey diamonds because those tend to be much less expensive but just as beautiful in everything from eternity bands to stud earrings. If you’re shopping for a gift for someone who celebrates a birthday in April, some ideas are diamond earrings for her or diamond cuff links for him. If you wanna treat yourself, why not go for a diamond ring, diamond earrings or a diamond bracelet? 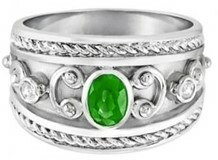 Antique Scrollwork Diamond Wedding Ring Band 14k White Gold by Allurez. 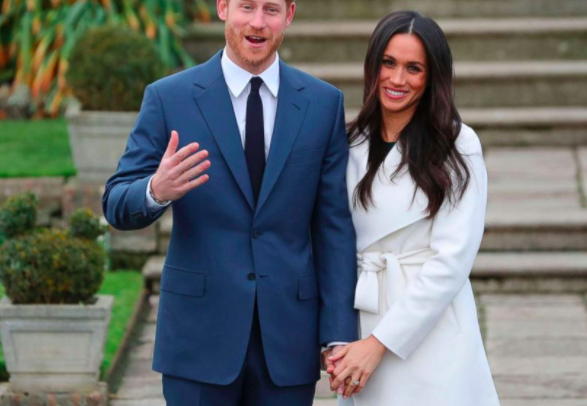 Speaking about buying jewelry, the most talked about diamond piece in the news right now is a 6.16 blue diamond with 300-yea-old history of being owned by royals. It’s called “The Farnese Blue” and the auction house Sotheby’s claims its one of the most historic diamonds ever put up for sale to the general public. This is the first time the diamond is appearing on a public market and its estimate is $3.7 to $5.3 million. “The Farnese Blue” is a pear-shaped blue diamond first given to Elisabeth Farnese, Queen of Spain in 1715 and descendant of Pope Paul III, following her 1714 wedding to King Philip V of Spain, grandson of Louis XIV, King of France. It has been passed through the royal families of Spain, France, Italy and Austria. Sotheby’s said the gem originated in India from the Golconda diamond mines. 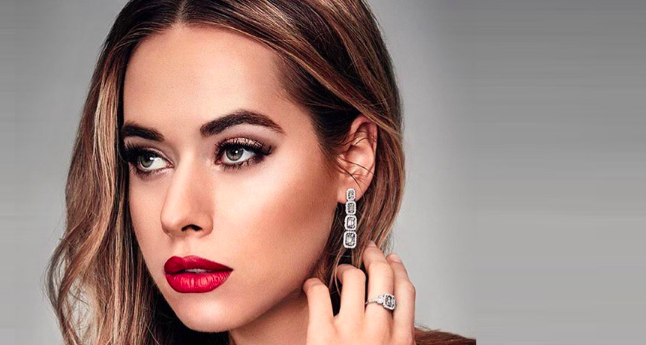 Throughout the diamond’s 300-year history it was secretly kept in a royal casket and outside of close relatives and family jewelers, no one knew it existed. The auction house is also offering two colorless diamonds of more than 50 carats each. The first is a round, brilliant cut diamond of 51.71 carats, which ranks it as the second largest D Flawless brilliant-cut diamond ever to go up for auction, according to Sotheby’s. Its estimate is $8.2 million – $9.5 million. The second stone on the market is an oval diamond that weighs 50.39 carats that is the second largest D Flawless diamond of its shape ever to be at auction. Its estimate is $7.25 million – $8 million. Forbes reported that both diamonds were cut in Antwerp from rough diamonds weighing 196 carats and 155 carats. They come with a Gemological Institute of America report stating they have great cut, polish and symmetry. 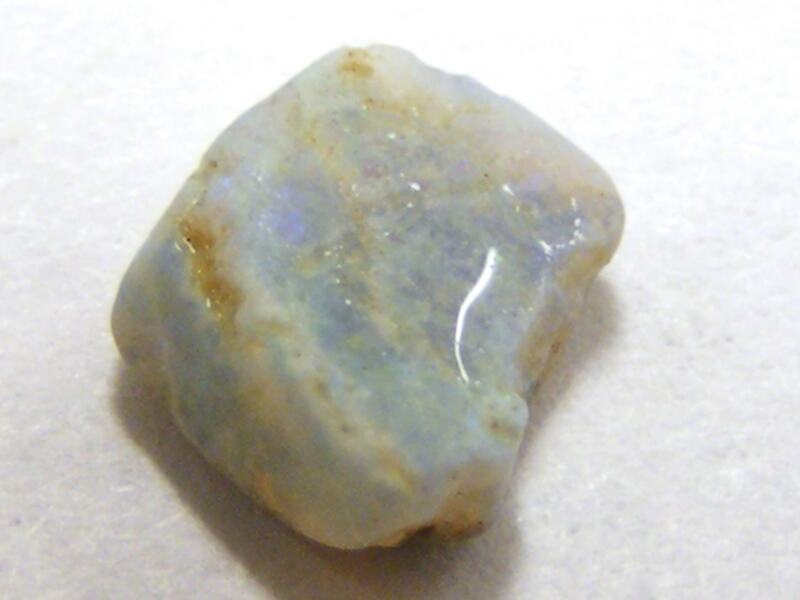 The origin of birthstones is believed to date back to the breastplate Aaron wore in the book of Exodus in the Bible. His breastplate contained twelve gemstones representing the twelve tribes of Israel at the time. It was adorned with emerald, sapphire, diamond, topaz, carbuncle, sardius, agate, ligure, amethyst, onyx, jasper and beryl. Two scholars in the 1st and 5th century AD, Flavius Josephus and St. Jerome, are the ones credited with matching the 12 breastplate gems with the 12 signs of the zodiac, according to a report by Forbes magazine. The original thinking was that each person would own all 12 birthstones and wear each gem on the corresponding month but the modern concept of birthstones that we have today started in the 18th century in Poland where Jewish gem traders used a marketing tactic in which they would sell each gemstone based on a person’s birth month. Then In 1912 the American National Association of Jewelers put out an official list of gemstones representing each month with a birthstone. There are countless legends and beliefs about birthstones having therapeutic influence, according to the American Gem Society. According to these legends, wearing a gemstone during its assigned month also heightened its supposedly healing powers and for the full effect, individuals were encouraged to own all twelve stones and alternate them monthly.